In honor of it being Halloween this post is about giant pumpkins. The largest pumpkin on record was grown this year and weighs in at 1818.5 pounds. 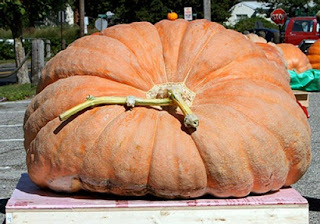 It was grown by Jim Bryson of Quebec. 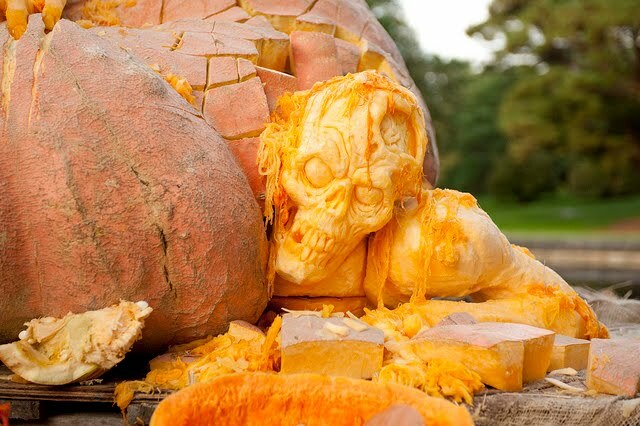 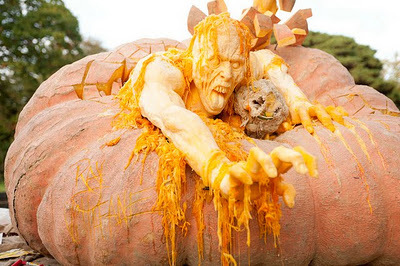 Since it gained the record and was removed from its vine it has been turned into a zombie sculpture carved by Ray Villafane. 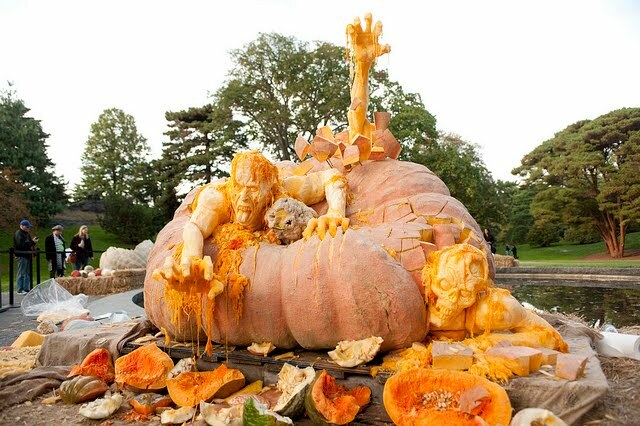 Its housed in the New York botanical garden.